PLEASE SCROLL BELOW PICTURE FOR INSTRUCTIONS. HAPPY EASTER! INSTRUCTIONS: Please fill out the form below entirely... you will be billed by PayPal Invoice. There will be two separate invoices: the first invoice is for your candles. The second invoice will be for the shipping charges (this is necessary to get you the lowest possible shipping rate). Your candle will not be made until the first invoice is paid in full and your items will not be shipped until the second invoice is paid in full. 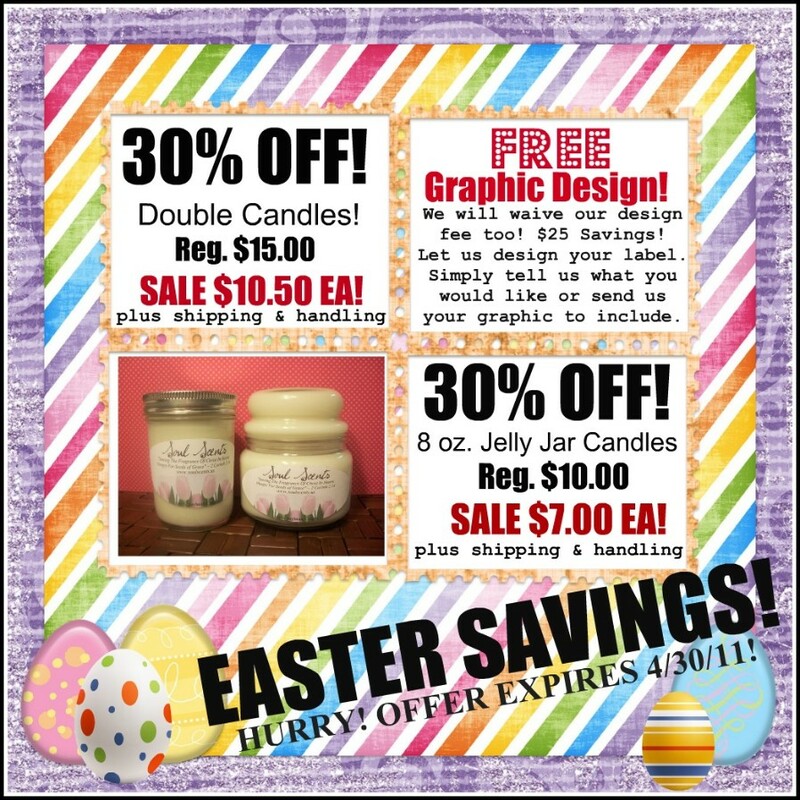 We apologize if this is inconvenient, but it is necessary to give you the discounted price and free graphic design offer... otherwise our system will charge you full price. Please note that all persons living in Arizona are subject to our tax laws. For our scent List please CLICK HERE. *Please read each box as it has important instructions. Thank you! Please fill out if different from Billing Address. PLEASE LIST SCENTS WITH QTY. Please indicate your label description. Please send your graphics to DVG@desertvalleygifts.com with your full name. Enter full description. 8 oz. Jelly Jar , $7.00 ea.